My Find of the Week–A great gift idea! Do you need gift ideas for those people who have everything? How about lovely hostess gifts? Would you like an idea that both men and women will like? 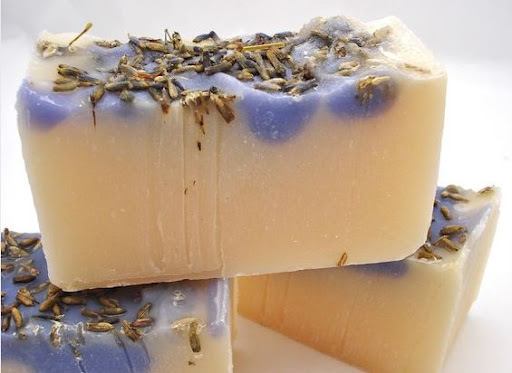 Here it is–handmade soap. Once you try it, you will completely understand. It’s a great way to start the day in the shower, or a lovely way to end it in the tub. It’s aromantherapy and getting clean, all in one. And I think real soap is good for you, as opposed to those bars of detergents that the store calls soap. 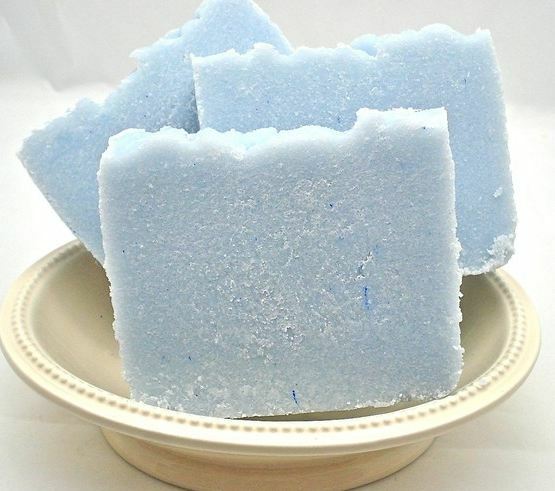 We have super sensitive skin in this house, and we’re all happy when we use handmade soap from Hello Crafty. Hello Crafty Handmade Soap is gift worthy, wonderful soap that comes in all kinds of amazing scent combinations. The beautiful Bonnie King of Durham, NC, whips these up herself and the girl knows what she’s doing. The blue one, above, is called “Ocean.” Isn’t it pretty? It “brings the scent of an ocean breeze” into your shower (that’s what she says and I believe her). It’s a salt bar, meaning that it’s made with lots of salt that gives it a hardness that makes it last a long time. But they’re still make a creamy lather. My favorite salt bar has blood orange, lemongrass, grapefruit and bergamot essential oils in it. The smell is amazing. Hub has even told me how much he likes to use it in the shower! He has never mentioned soap in the 30 years that we’ve been married until I brought that one home! This one is the lavendar citrus cold process bar. Go to her Etsy shop and read about all the different kinds of soap. Very reasonably priced–about $7 per big bar, very decadent stuff. She packages it nicely, so you’ll be good to go. Oprah would make this a Favorite Thing. Martha would call it a Very Good Thing. Even better, DeCocco Design calls it the Find of the Week!